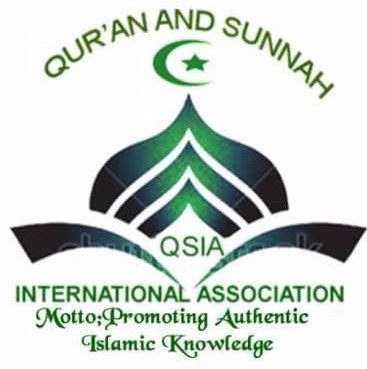 The Qur'an and Sunnah International Association is a non profit and non governmental organization, established purposely to engage in the acquisition and dissemination of relevant authentic Islamic knowledge through TAFSIR, lectures , and Islamic quiz and spelling competitions. The Association organizes TAFSIR, lectures, and Islamic quiz and spelling competitions with Islamic schools and Madrasah as its main focus. It also goes further to organize international quiz and spelling competitions in the blessed month of Ramadan for participants from different countries. Furthermore, the Association conducts online Islamic quiz on Mondays and Fridays for local and international audience combined. 1. To strive to provide an avenue for effective pursuit and acquisition of true Islamic knowledge. 3. To try and encourage the habit of reading and the acquisition of relevant knowledge of the Deen among the contemporary Ummah. 4. To engage in efforts at preserving and protecting the Islamic culture as well as the integrity of the Qur'an and the Sunnah of our beloved Prophet Muhammad (s.a.w). Masjid Al aqsa behind sky petroleum, atadeka, Ashaiman, Accra, Ghana.